Nicole hails from the town of Reservoir in the Northern suburbs of Melbourne, Victoria, Australia. She lives there with her fiancee, two cats, and a bottomless cup of tea. Currently working on the follow up novel to ‘Gothic’, titled ‘Revelry’, slated for release in 2013. Dreams sometimes. Particularly with my current series, ‘Gothic’. I can’t actually say what the scene in the dream was, as that gives away spoilers for the second book (which is, of course, coming soon!) but suffice it to say that that gave me my three main characters. I sat on the idea for almost a year before starting to actually write it, though. It was my Honours year at university. 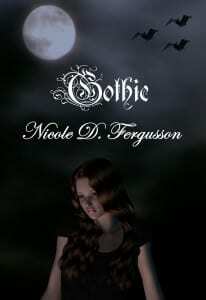 The only reason I started writing when I did was because I just needed something that was a little less dry, a little more fun, and there you have it: Gothic appeared on virtual bookshelves within a year of the first draft!